10-gallon hats, overalls, dirt, fire, s'mores. Who wouldn't enjoy a night outside under the beautiful sky pretending to be a cowboy. Grab your saddles, horses and get going tonight on a great adventure. Be sure to dress the part. Dinner: Roast hot dogs over a fire outside (or in the oven), roast or make corn on the cob, mix up some easy rolls that the kids can make and take it all outside for a picnic. Recipe for rolls in the Instruction Sheet. 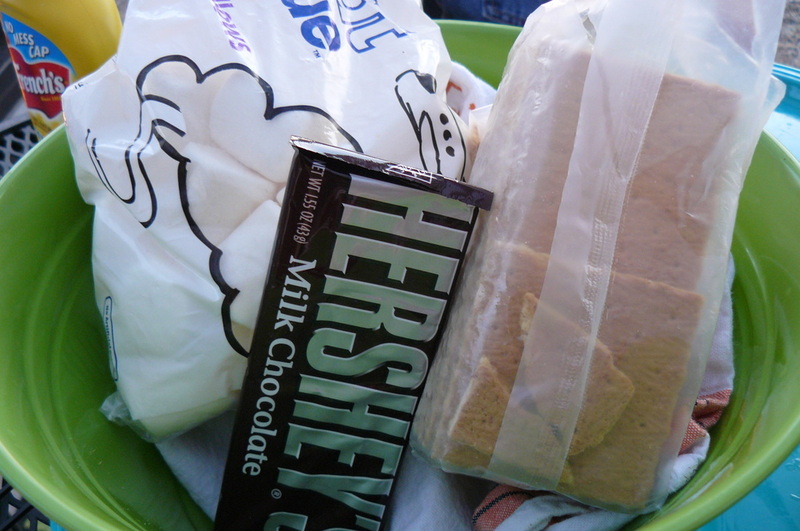 S'mores: top a graham cracker with some chocolate, roast a marshmallow then top it all with another graham cracker. YUM. This can also be done in the oven. 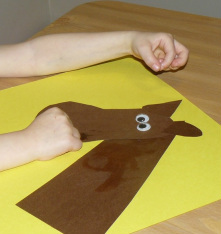 Trace child’s shoe onto desired horse color construction paper for shape of head. Cut out large rectangle for neck and two triangles for ear shapes. Cut yarn into small pieces. Glue paper horse pieces together on large sheet of paper – preferably 12x12 paper. Glue on wiggle eyes. Glue on yarn for mane. Color / decorate. Horse race: Grab a mop, broom, stick, whatever you can find and use as a 'stick' horse. Line up or use a timer to clock family members as they race to a specified location and back. The only rule is no running, you must gallop like a horse. Hat Toss: Use a kitchen chair with knobs on the top or a big box. Try to toss a cowboy hat so that it either lands on the chair knob or in the box.